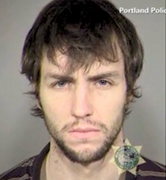 A Portland, Oregon, woman arrived home to find an intruder in the shower! The homeowner also called 911 to report the intruder. I don’t know about you, but it’s a good day when lawbreakers are fearful, rather than the law-abiding! And guns, or even the threat of the good guys possibly having guns, can make that scenario the norm.